I have been offline for a week camping in North Devon there was no signal. So I decided to ditch the tech and have fun with the family. When we left the kids were cheering as they would get access to wifi again. I suppose it’s no different to when I was a kid and TV. So out of the 10 days I managed to get in the gym for 5 of them. It wasn’t the setup I was used to but I worked my way round and managed to work different parts of my body on different days. I was pleased with this as I had taken anything is better than nothing. I was also getting a workout playing with the kids and going swimming. 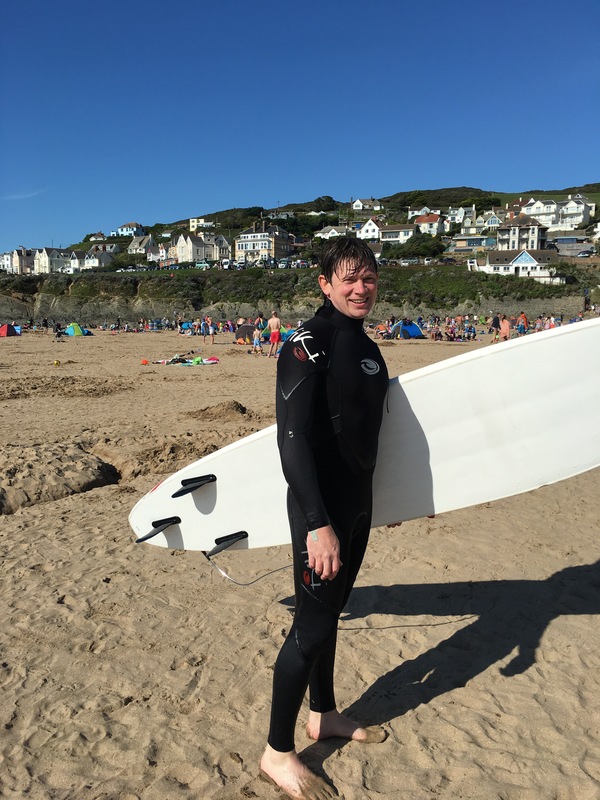 We spent 3 days at the beach surfing and body boarding with the kids and their cousins. 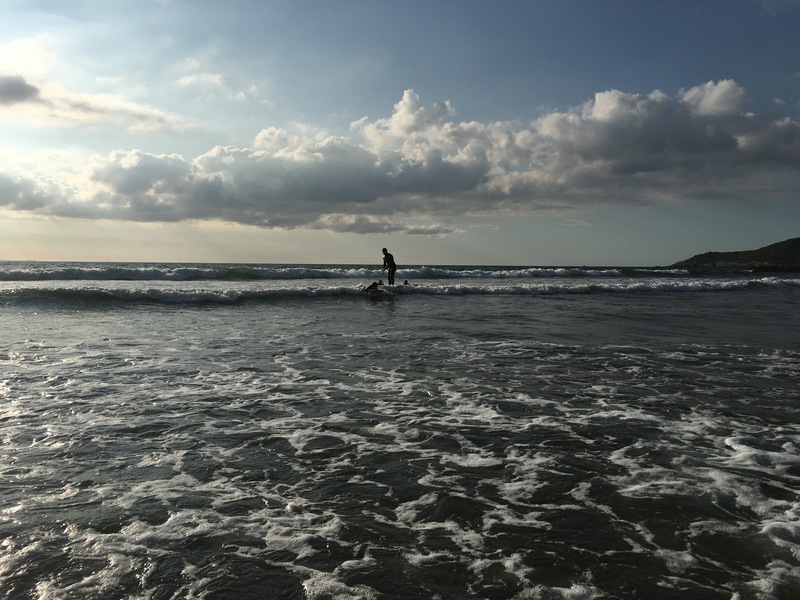 It was great I love the sea and surfing especially, I can standup but am far from a pro. I spent each day at the beach in the sea pretty much the whole time. It was sad to have to leave but planning a return to surf in October. Below are a couple of pics the first is me surfing a wave my son and his cousin are catching on their body boards. Food and drink wise, now here is a story of failed good intentions. I started off very strict and had all my usual foods but a situation with the cool box not running ended this. Along with enjoying myself in the evenings with family and friends having drinks. I may have also had a couple of fish and chip moments, but hey we are at the seaside. Rather than feel guilty I just accepted what I was doing and made sure I didn’t go crazy. We came home late Saturday arriving home just before 9pm unloaded the car and hit the sack. This morning was the start of a new rugby season. For those who don’t know me I am coach at my local rugby club currently coaching u9’s (I will write a blog on how I ended up here). I was up early pumping up balls and what a start, it was very cold and raining. Got back from rugby by 13:00 and everyone was shattered so we had a relaxing day. I got a workout in and then cooked a roast for us all and got then prepped food for next week. 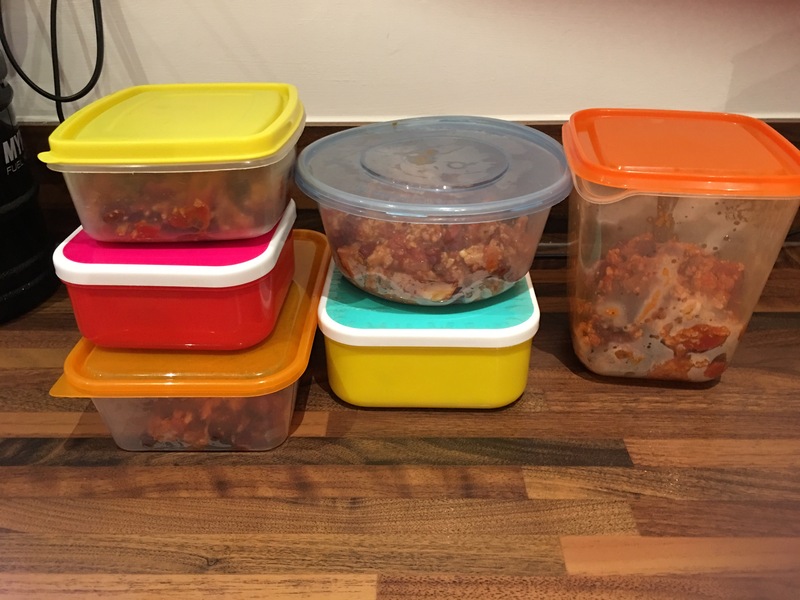 I made a turkey chilli and split it in six. It’s a good meal as it has the right % of carbs protein and fat so I just eat the chilli on its own. As for my stats I haven’t done them for two weeks, so will do them tomorrow and post them in the evening. I am still tired and back to work tomorrow so I will sign off for now.